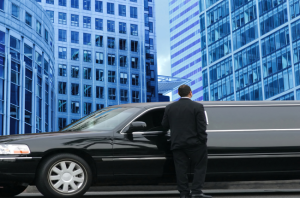 In Toronto, company limo rentals are available for all types of businesses. Whether your need a ride to the airport, conference, client’s office, or anywhere else in and around the city, you can hire a limousine driver to take you there. You can also arrange to pick up clients or associates for meetings. Limo fleets include not only cars, but buses and Hummers as well. If you’re not sure about your specific needs, a good rental company will answer all of your questions and help you through the process. Since there are so many rental companies out there with different rates and fleets of vehicles of all sizes, you might feel overwhelmed – especially if you’ve never booked a limo before. Do you have a specific date in mind yet? If not, do you at least have a general idea of when your company will need a limousine? If it will be during a holiday season or in the spring when proms are typically held, limo rental companies will have more bookings than usual. The sooner you let them know when you will be needing rental services for business, the better. How many people will you need transportation for? Would you rather arrange for them to be picked up in a large limo or multiple smaller vehicles? Once again, a good rental company will help you decide on the right package. What kind of services and amenities will you require? Corporate limos come with Wi-Fi, Bluetooth, and even fax machines. If you need anything specific, be sure to ask the rental company if it’s available and what it will cost. How long will you need company limo rentals for? Will it be for an ongoing basis or a one-time event? Inquire about payment plans and packages to find out how to best save on your rental(s). While your budget shouldn’t be the only deciding factor, it’s still important. Weigh your options when comparing the price of a limo rental with the investment of a private company car and other transportation options. When you request a quote from a limo company, make sure you know exactly what is included. If a package deal seems too good to be true, it probably is. Choose the company that offers the most value for its price. Majestic Limo Services is a good choice. If you’ve decided on a rental service, have everything that’s included in the package verified. You should know exactly what to expect, when to expect it, and how much it will all cost. Also, find out if the drinks and gratuity are complimentary and included in the package or if they will cost extra. Contact the company to verify your booking. Make sure they send a confirmation and that all the details are correct. Booking company limo rentals in Toronto doesn’t have to be confusing, just as long as you plan everything out ahead of time and know what questions to ask.